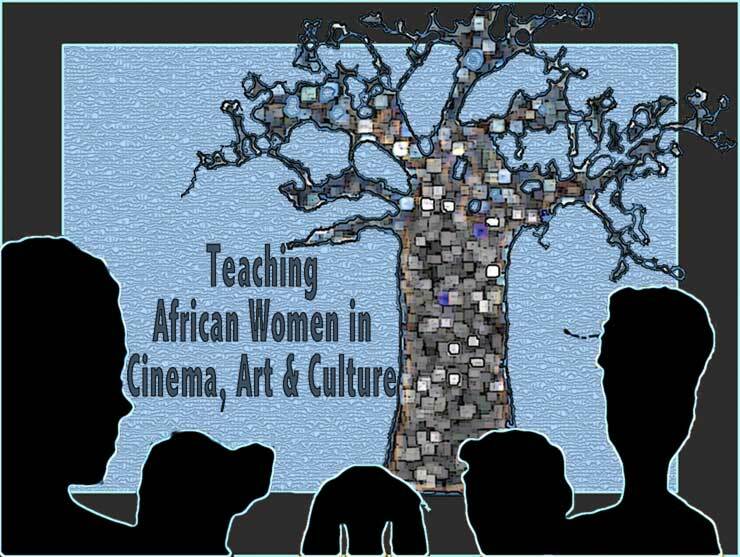 Teaching African Women in Cinema, Art and Culture – Part 5 - In one of the first of the class exercises, students were assigned artists/filmmakers to research and prepare a visual oral presentation. This post outlines the activity that explores these artists and filmmakers and their work. As with the selections presented in Part IV, one may note that the women span the continent, reflecting its diversity of languages and cultures; thus allowing a trans-continental perspective. Students were exposed to many cultural experiences, ideas and concepts. The work of Zullah Otto-Sallies introduced students to the Bo-Kaap, one of the oldest districts of South Africa, with a large population of people of Malay descent as well as a significant Muslim population. Her work also highlights the generational shifts and the tensions that they engender. Students also learned about what Ghanaian-American Akosua Adoma Owusu describes as “triple consciousness”: being American, of African parentage and culture, and, sharing the same skin-colour but not the same history as African-Americans. Similarly, Sierra Leone-American Nikyatu Jusu’s work examines the experiences of first-generation Africans born in the United States. Moreover, the exercise revealed that many of the women work at the intersection of mediums, notably Wangechi Mutu’s animation work: "The End of Eating Everything". The students discovered the globality of the women’s experience, having travelled, studied, worked or lived in multiple environments. As will be discussed more extensively under the theme, identities, this exercise revealed the important role that identity plays in the works of so many African women cultural producers. It is this exploration of identity – personal as well as cultural – that defines the work Akosua Adoma Owusu does, and makes significant her contributions to the realms of African and American film. Owusu utilizes her position as a Ghanaian American to examine a particular subset of the African experience – that of the African immigrant in America – and conveys the inter-culture mingling that occurs by mingling cultures within her own films…Through this manipulation, Owusu generates discussion of what shapes the concepts of culture and identity, and how the two concepts relate and interact. (Abbie Thill '16, Denison University). An important lesson to draw from the work of not only Jane Alexander, but also the artists and filmmakers covered in class, is the importance of art as a forum for worldwide dialogue regarding human rights. The sustained discourse stemming from film festivals, art exhibitions, discussions and forums creates an open space for analyzing and interpreting the unique human experience that can touch all members of all races, ethnicities, classes and genders on a basic, wholly natural level. Open sharing of cultural experiences, worldwide plights, social injustices and widespread violence extends the reach of critical voices of African artists to span the entire continent and cross oceans to spark worldwide collaboration, partnership, and eventually, change and activism. (Jenna Breslin '16, Denison University).